"I Can" from CDE: What Can You Do? on Vimeo. "Who I AM" (60 seconds, subtitles) from CDE: What Can You Do? on Vimeo. 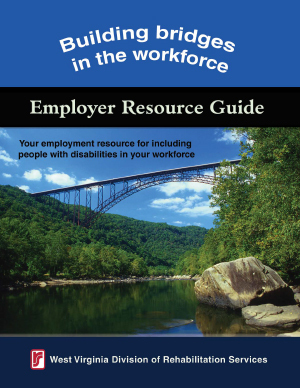 WV Division of Rehabilitation Services (DRS) is a comprehensive employer assistance program, providing options pertaining to staffing, education, and financial incentives associated with hiring a person who has a disability. Businesses accommodating people with disabilities may qualify for tax credits and deductions. 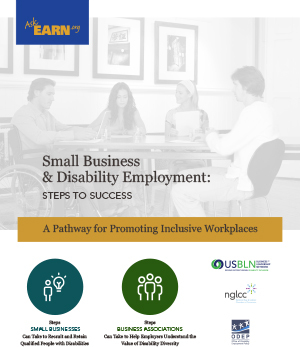 Click to learn more about Tax Benefits for Businesses Who Have Employees with Disabilities. JAN's Searchable Online Accommodation Resource (SOAR) system is designed to let users explore various accommodation options for people with disabilities in work and educational settings.